In New England a Library Card is pronounced Library Cod. Hence, the literary cod shown here which should appeal to bibliophiles, library lovers, and book lovers who also like fish. The Library Cod is printed with pigment inks on heavy uncoated archival paper. It is packaged with acid free backing in clear cello sleeve. This print can also be ordered in 14x11 and 20x16 inch sizes. And it is also available as a "cod" (card in CapeSpeak). 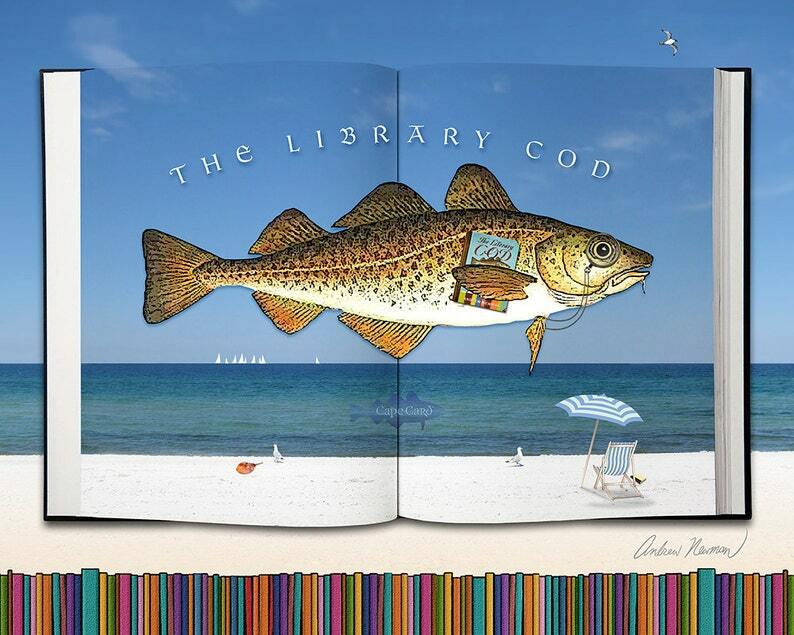 The Library Cod™ copyright © 2013 by Andrew Newman. All rights reserved. The Cape Card watermark will not appear on actual printed card.